Photographic reproduction of an engraved portrait depicting Josiah Harmar, ca. 1790-1799. The original portrait was engraved by John Sartain and based on a painting by Raphael Peale. Josiah Harmar was born on November 10, 1753, in Philadelphia, Pennsylvania. Although he attended a Quaker school, he did not share the religious beliefs of the Society of Friends. He served in the Continental Army during the American Revolution, rising to the rank of colonel. Upon ratifying the Treaty of Paris (1783), the Confederation Congress selected Harmar to carry the paperwork to France, one of the United States' allies during the war. Upon his return, the Confederation Congress appointed Harmar the commander of the U.S. army in the Ohio Country. In Ohio, Harmar faced rising tensions between resident American Indians and white settlers. The influx of thousands of white settlers into Ohio upset the American Indians and disrupted their traditional ways of life. In October 1785, Harmar ordered Major John Doughty to construct a fort along the Ohio River. Doughty chose to build Fort Harmar along the western bank of the Muskingum River, near the river's mouth. Harmar also ordered the construction of Fort Steuben the following year at modern-day Steubenville. The main purpose of these forts was to prevent additional squatters from flooding into Ohio. Instead of stopping settlement, the fortifications actually encouraged it, as the whites believed the soldiers manning the forts were there to protect the settlers. In 1787, Harmar became a brigadier-general, the highest rank that he would attain. Three years later, Harmar was stationed at Fort Washington (present-day Cincinnati). Henry Knox, the Secretary of War, ordered Harmar to end the threat of American Indian attack in western Ohio. Harmar marched from Fort Washington with 320 regular soldiers and roughly 1,100 militiamen, primarily from Pennsylvania and Kentucky. The militiamen were poorly trained; many did not know how to load and fire a musket; several others did not even have a gun. Harmar was determined to destroy American Indian villages near modern-day Fort Wayne, Indiana. He intended to attack the Miami, the Shawnee, and the Delaware, along with other American Indians located in western Ohio. The American Indians fled their villages as Harmar's army approached. The Americans burned several villages, but the American Indians regrouped. On October 20, the American Indians, led by Little Turtle, of the Miami natives, attacked a detachment from Harmar's army led by Colonel John Hardin. Hardin's force consisted of several hundred militiamen and a few regular soldiers. Hardin led his men into an ambush. Most of the militiamen fled the battle without even firing a shot. The regular soldiers put up a brief resistance, but the natives killed most of them. Some of the retreating militiamen did not stop until they crossed the Ohio River into Kentucky. Harmar sent out another detachment after Little Turtle's warriors two days later. Once again, the American Indians inflicted heavy casualties upon the Anglo-American settler militia. Harmar immediately retreated to the safety of Fort Washington. He had lost 183 men killed or missing in his campaign. The battle became known as Harmar's Defeat. 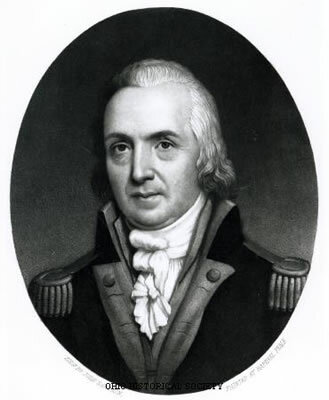 In 1791, the United States army convened a court-martial against Harmar. He was accused him of wrongdoing during the campaign, including being drunk on duty. The court-martial exonerated him of all charges, but Harmar retired from the army on January 1, 1792. He returned to Pennsylvania and became the state's adjutant-general. He served in this position from 1793 until 1799. He died August 20, 1813.